It’s near impossible to give a blanket answer to a question like “how much does a half-hour video or film cost?” But an industry rule of thumb is that it takes about an hour to film one script page. And you should estimate somewhere around $1000 per finished minute. But the cost can be much higher for commercials (which often have budgets over a million) and feature films with name cast and established directors. No matter what your production schedule or budget, it’s plain to see that each hour of filming is expensive. 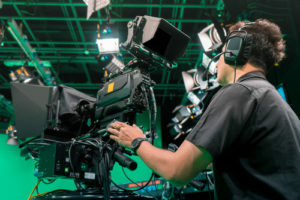 One of the best ways a producer can ensure a smooth, on-budget shoot is to make sure her or his crew has all the production supplies they need to stay on schedule – or a source for film gear and camera rentals in Florida. There will always be some degree of downtime on a set—it’s built into the process. You may have to wait for on-set script changes to be completed or for talent to arrive. But downtime due to forgotten gear items can result in not only lost hours but missed shot opportunities. Producers who leave as little as possible to chance lay the groundwork for a well-executed shoot. With everything there is to arrange, confirm, coordinate, and execute, it can be easy to overlook every single required detail. A checklist helps, but if you want a quick cheat-sheet, in our experience, these are the top 10 most-needed, but also most easily forgotten, film production supplies that we see at our camera rentals in Florida facility. They’re not just for keeping cameras dry, though they’re great at that. You can also use tarps to black out a location or cover floors and carpets you want to protect from damage. One of the handiest on-set supplies you can have. Used on just about every shoot, C-stands are mainly used by grip and lighting to position light modifiers like silks, nets, and flags. Their handy gobo head lets you articulate whatever’s on the stand without moving the stand itself. And with legs designed to be nested you can place as many as you need around a light source for a variety of effects. Useful for avoiding lens flare and controlling the angle, shape, or height of your light, they also add shadows and control spill. Flags to 24×72”. In a pinch, a piece of duvetyne can be attached to an empty flag frame. Also know as stingers, these high flexibility extension cords come in multiple lengths and are oil, water and abrasion resistant. Versatile and heat-resistant, gaff tape is a gaffer’s best friend. Don’t confuse it with duct tape, whose plastic backing makes it susceptible to melting near heat sources. Use gaff tape for everything from taping down cables to or rig just about anything that might break on set. And check out this fun parody video that shows 50 other ways to use gaff tape on set off. You may actually get a few good ideas! Typically ranging from 25 to 35 pounds, sandbags are another one of those multi-purpose pieces of gear you can’t live without. They’re most often used to secure stands and equipment, plus their built-in fold makes them easy to drape over uneven objects. Other uses include blocking doorways, anchoring tripods, as a boom counterweight, or as a camera saddle when your tripod can’t go low enough. Empty bags can be easily transported to remote locations and filled with sand, water, or whatever weight is available. You’d be surprised how many single grounded outlets are still out there. A cube tap converts them into 3 ground outlets making it easy to plug in multiple pieces of equipment at one position. One of the best production supplies money can rent, duvetyne is a black, cotton fabric used to make cutters, butterflies, and flags. Use it to reduce reflected light or mask off objects and areas on a set. Propping, raising, leveling, standing, and sitting, these must-have tools make set life easier and more efficient. It’s the little things that can mean a lot on set. China markers, bag its, batteries, dust off, and console pro tape are just a few of the items that can keep your production on track. If you’re missing any of these, a camera rentals in Florida facility can definitely help. You can reduce downtime and save and money for your productions by being prepared for every possible scenario. Moving Picture Rental has all the gear items and camera rentals in Florida you need, as well as offering a full range of production services. To learn more, get in touch with us today at 305.522.1361 or email us at info@movingpicture.com.